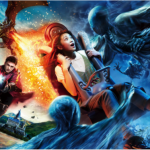 Whilst Harry Potter and the Forbidden Journey is already a state-of-the-art immersive ride, Universal Studios Japan has plans to update the ride with brand new technology by March 16th, 2018! The newly improved ride will immerse guests even further into the story by introducing more powerful special effects. When faced with a dragon, riders will see the creature “breathe fire so hot it’ll make guests feel as if they are coming face to face with a Hungarian Horntail.” Riders will also feel a chill in the air when Dementors swoop in – thankfully they haven’t managed to incorporate the full effect of a Dementor attack! In other Wizarding World of Harry Potter news, we also recently reported that, beginning January 31, The Nighttime Lights at Hogwarts light projection show will come to The Wizarding World of Harry Potter at Universal Orlando Resort, premiering at A Celebration of Harry Potter next week, along with exclusive merchandise. Universal Studios Japan will also be introducing a new show this year, the Universal Spectacle Night Parade – Best of Hollywood, which will incorporate music from the Harry Potter films and live performances. 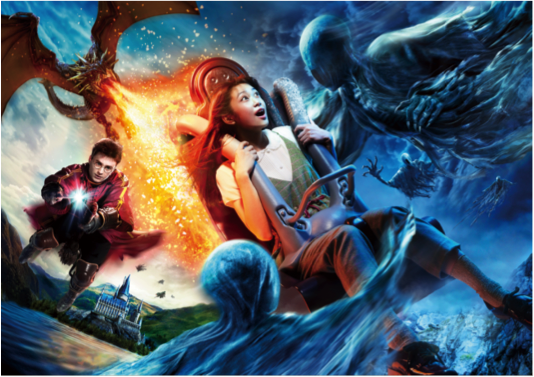 Will you be visiting Universal Studios Japan’s newly updated Forbidden Journey ride in March? How about A Celebration of Harry Potter in Orlando next week? Be sure to let us know – we’d love to hear your experiences!